The perfect weekend at Lymington! 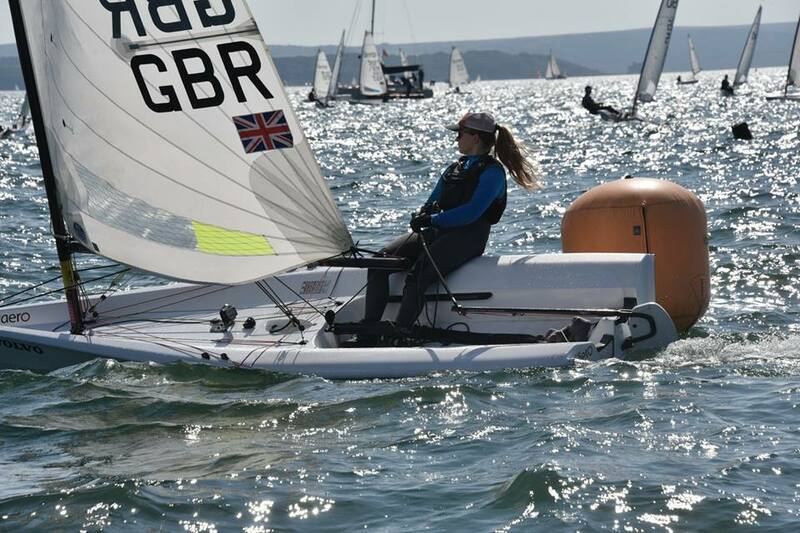 39 young RS Aero sailors ventured to Lymington for the 2nd annual RS Aero UK Youth Champs with Class racing set over the three RS Aero Classes providing good sailing for all sizes of youngsters. The entrants were aged from 13 to 21 and split into three categories; Apprentice Youth (under 22), Youth (under 19) and Junior (under 16). Most sailors arrived on Friday afternoon and with the lawn at LTSC fully Aero-ed we now know we can fit about 30 RS Aeros on it without much grass left visible! 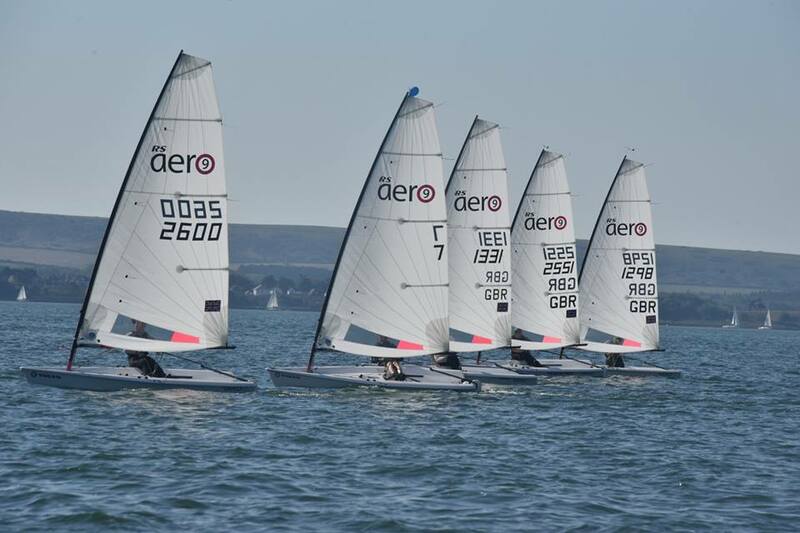 13 new sailors either chartered or borrowed their RS Aeros and Friday afternoon saw charters signed out followed by an onshore coaching induction session and a quick evening sail focused on boat handling basics. We returned to a lovely sunset full of anticipation of the weekend ahead. Saturday produced medium winds and blue skies. The wind increased nicely through the day with full hiking and planing reaches later on. A skewed wind direction across the tide gave sailors a challenge on their start line approaches and difficult lay-line calls. PRO Rob Martin and his team skilfully banged off 4 good races each day in quick succession. The three Classes started separately with the RS Aero 9s and RS Aero 7s going first with 3 laps and the larger RS Aero 5 fleet stating after with 2 laps. 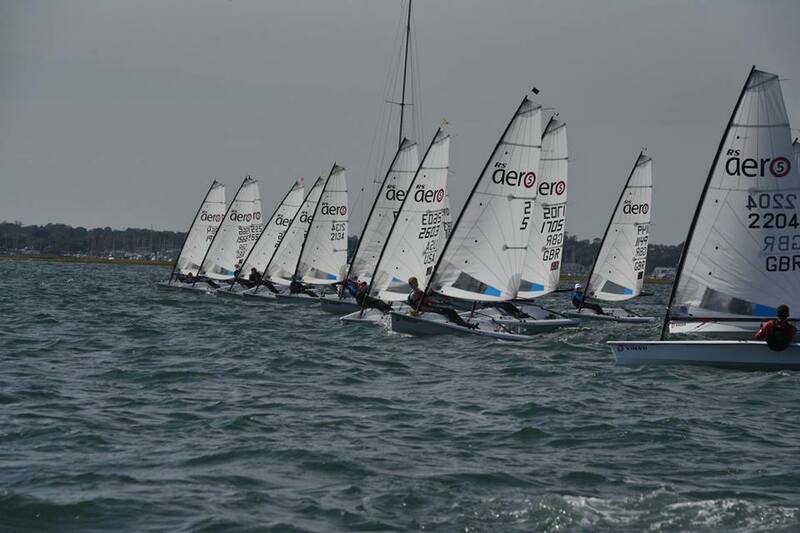 The ever-eager RS Aero 5 fleet had quite a few recalls over the weekend jostling for position on the line in the Solent tide. After racing each day a pasta booster was served at the tally board. 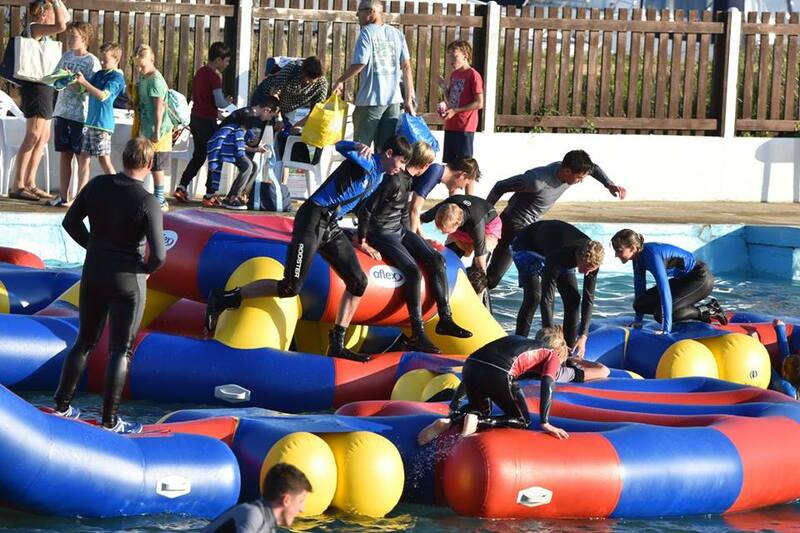 On Saturday the fleet then took over Lymington Sea Water Baths and their inflatable assault courses for an hour, courtesy of the generous support from IT Computers https://itcomputers.co.uk/ . Fun and ad-hoc challenges for those still with any energy to spare! A slightly lighter breeze on Sunday from a new direction added variety to the Championship, again testing the sailors on the skills of racing in a tidal current - particularly their start line approaches, lay-lines and transits. The wind against tide produced short upwinds and longer runs, with tide to take all those eager RS Aero 5s over the start line early again! The wind went softer by lunchtime with the tide slackening and the thermal breeze fighting the easterly, but the race team had the day’s 4 races on the books in good time with good courses and prompt turnarounds. The three RS Aero fleets returned home through the marshes on the top of the tide for a late lunch. Racing was of a great standard all weekend. 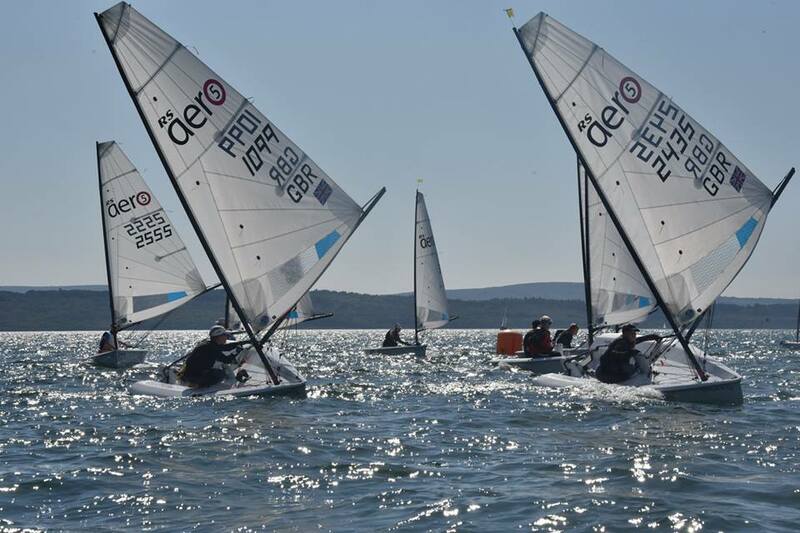 The conditions were perfect for the new sailors to get used to the RS Aero and quickly become competitive. 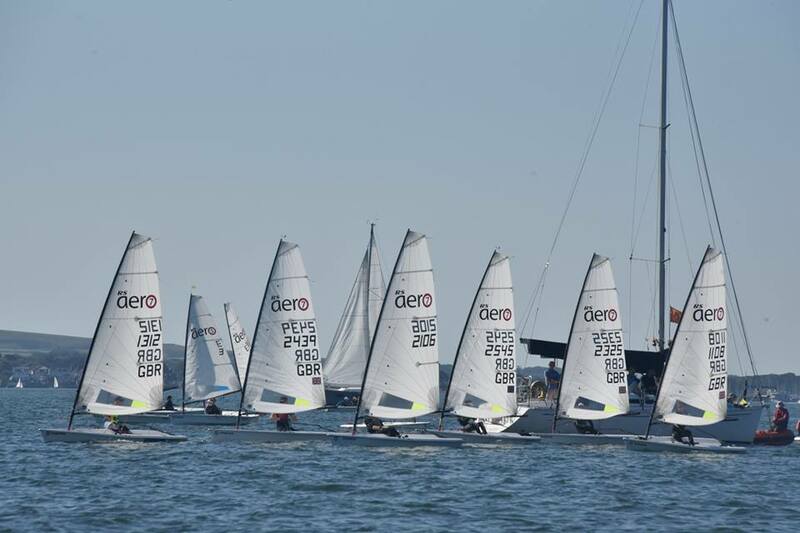 The 25 sailors in the RS Aero 5s made starting and clear air around the course crucial. In the smaller RS Aero 7 and RS Aero 9 fleets the competition level was particularly high with every place hard earned, tightly packed roundings and the score sheets close to the very end. It was great to see so many new faces in the leading packs occasionally and lots of new youngsters enjoying the RS Aero for the first time on a perfect weekend! Thanks to everyone who helped make this fantastic weekend possible! Rooster and SpeedSix for their support with the prize giving. IT Computers for the excursion to the Baths. RS Sailing’s huge commitment to the charter fleet allowed the event to evolve to this level. The large team of volunteers at LTSC who together made the event run smoothly. Nicholas Willcocks snapped heaps of great photos over the weekend and provided memory sticks at the prize giving. With the Youths having had their fun for the moment the Ladies and Masters have their turn next. At Chew Valley SC on the 13/14th October the RS Aero UK Inland Championship shall include the RS Aero UK Ladies and Masters Champs too. Next up though is this weekend’s Northern Champs at North Berwick Scotland followed by a weekend visit to Salcombe on 15/16th September to enjoy their splendid gem location. Full details of UK RS Aero events are on the UK Events List.